Honda has released a video showing a three-dimensional representation of a then-record lap set by famous Formula 1 racing driver Ayrton Senna. The video captures a qualifying lap that Senna set on Japan’s Suzuka Circuit in 1989, while driving a McLaren-Honda MP4/5 Formula 1 car. The video was recreated by closely analyzing technical telemetry data from Senna’s record-setting, 1 minute 38 second lap. Honda first enlisted engineers to recreate the Formula 1 car’s sound, based on data about Senna’s accelerator position and speed around the Suzuki Circuit. Then, however, Honda decided to build on that simulation by recreating the exact position and speed of his McLaren-Honda MP4/5 around the track. 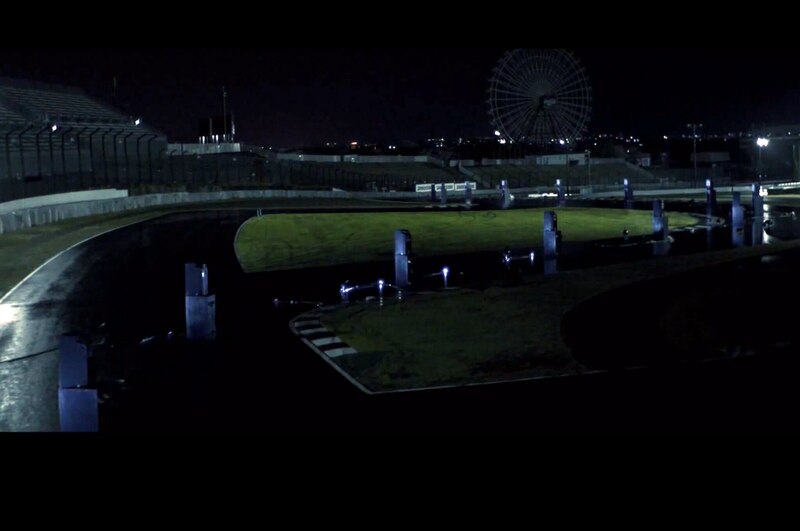 The visualization consists of white lights and speakers arranged around the Suzuka Circuit. The lights illuminate in time with where Ayrton Senna’s Formula 1 drove during his qualifying lap, while the speakers play the simulated noise of his car’s engine. The result, when seen at night, is a white light that appears to trace the tire tracks of Ayrton Senna around Suzuka. You can see the resulting video below, as well as a behind-the-scenes clip explaining how the simulation was prepared. You can also see the lap represented as 3D graphs by clicking here.